An N router is actually a standard developed by the Institute of Electrical and Electronics Engineers (also known as the IEEE). The ‘N’ comes from the standard 802.11n, defining the communication between all Wi-Fi equipment. The N standard is the latest permutation of the wireless communication standard. Wireless N devices are capable of transmitting data between 50 Mbps and 144 Mbps, two to four times faster than the fastest G standard permutation. A G router is actually a standard developed by the IEEE. Its more technical name is the 802.11g standard. It works on the 2.4 GHz band; however, it uses an OFDM (that is orthogonal frequency-division multiplexing, which is used for wideband digital communication) transmission scheme. It has a maximum bit rate of 54 Mbit/s (not taking into consideration the forward error correction codes). It is fully backwards compatible with the 802.11b standard. As a result, it carries many legacy issues, reducing throughput by about 21% less than the 802.11a standard. The N standard operates on both radio frequencies used by Wi-FI networks: 2.4 GHz and 5 GHz. This ensures that interference between N devices in areas that are highly populated is kept at a reasonable minimum. 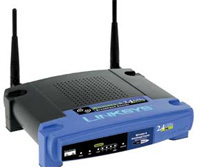 It accomplishes this by allowing the user to switch between the two radio frequencies if there is an oversaturation of computers in the Wi-Fi area using one or the other. The N standard also includes a wider transmission range on the 2.4 GHz radio frequency. This enables the user to switch the lower frequency if she needs more distance between the N router and the Wi-Fi adapter. The G standard was adopted rather quickly in order to answer consumer desires for higher data rates. Users were also craving reductions in manufacturing costs –as opposed the G standard predecessors, 802.11a and 802.11b. The G standard was adopted without ratification, and it became standard for mobile adapter cards (or access cards) to be dual compatible between B and G standards (as opposed to the previous dual compatibility of A and B standards). This, however, was found to reduce the data rate of the overall G network. The N standard has a much wider wireless range than the G standard (whose range is around 100 feet from the router to the adapter). The N standard has a wireless range of more than double the G standard –over 220 feet. Because the N standard can operate in both radio frequencies, it is backward compatible with the earlier permutations of the 802.11 standard as well as standards that are not compatible with each other. 1. The N standard has a data transmission range from 50 Mbps/s to 144 Mbps/s; the G standard has a data transmission range two to four times less than the N standard. 2. The N standard is backwards compatible with all permutations of the 802.11 standard; the G standard is backwards compatible with the 802.11b standard. 3. The N standard works on both the 2.4 GHz and 5 GHz radio frequencies; the G standard works on the 2.4 GHz radio frequency. Amitash. "Difference Between N and G Router." DifferenceBetween.net. August 29, 2017 < http://www.differencebetween.net/technology/difference-between-n-and-g-router/ >.